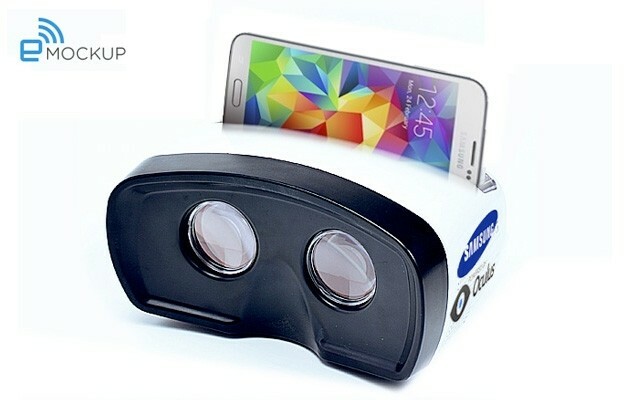 Rumors surfaced last week that Samsung was in the process of building a virtual reality headset designed to work alongside mobile devices. Early versions of the kit have already been seeded to select developers with Samsung hoping to beat the Oculus Rift and Project Morpheus to market. A follow-up to that story from Engadget claims the headset is still on but it won’t be positioned as an Oculus Rift killer. That’s because Oculus VR is said to be helping Samsung build the device as part of a “you scratch my back and I’ll scratch yours” arrangement. Samsung is reportedly in charge of providing all of the necessary hardware while Oculus will be tasked with software development. And contrary to earlier reports, it won’t feature a dedicated screen as it’ll instead rely on Samsung smartphones for visuals. The Korean tech giant will benefit by gaining access to the software side of things and Oculus will get early access to Samsung’s next generation OLED screen technology. This swap will help Samsung in their quest to beat everyone else to market while also giving Oculus a reliable display to work with. It’s seemingly a win-win for everyone involved. Oculus is likely willing to participate in the partnership because the two end products will be vastly different from each other. The Rift is primarily focused on gaming while Sammy’s headset will lean heavily toward media consumption. Both companies declined to comment on the rumor.